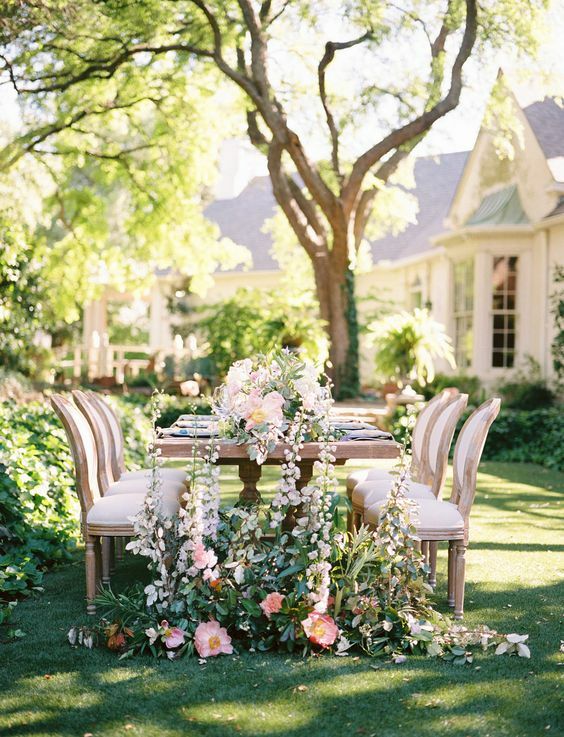 In the spring everything is in blossom, and there’s nothing better than staying outdoors, especially in the garden where you can breathe in the flowers’ scents and feel great with lush greenery around. 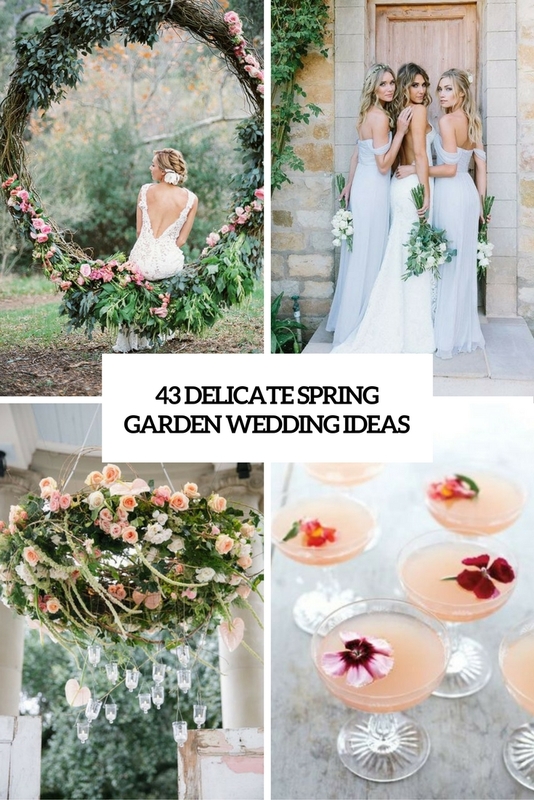 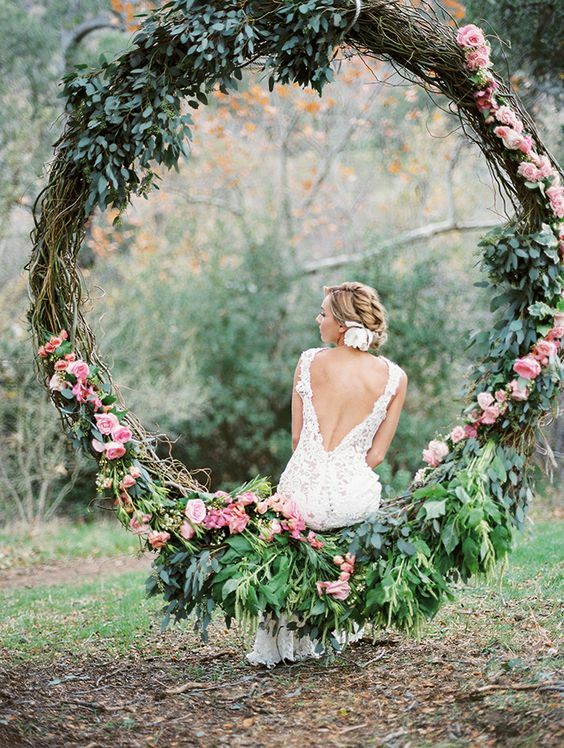 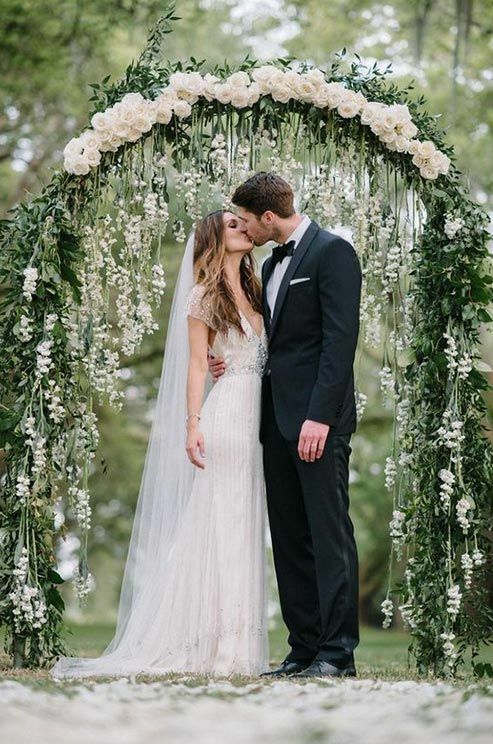 I guess that garden theme is one of the most natural solutions for a spring wedding, and today I’d like to show you some charming ideas to try. 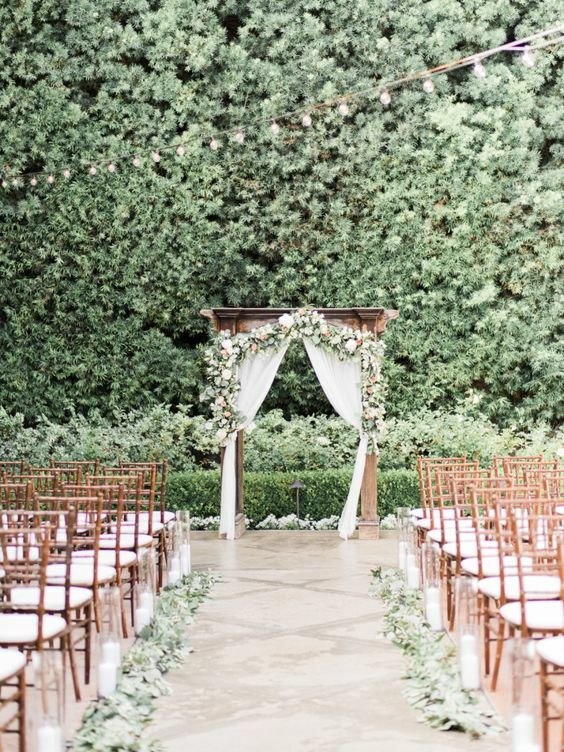 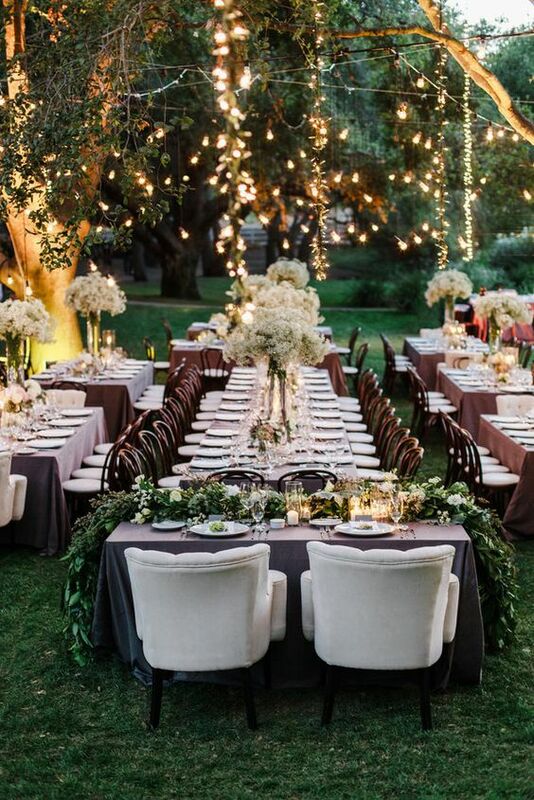 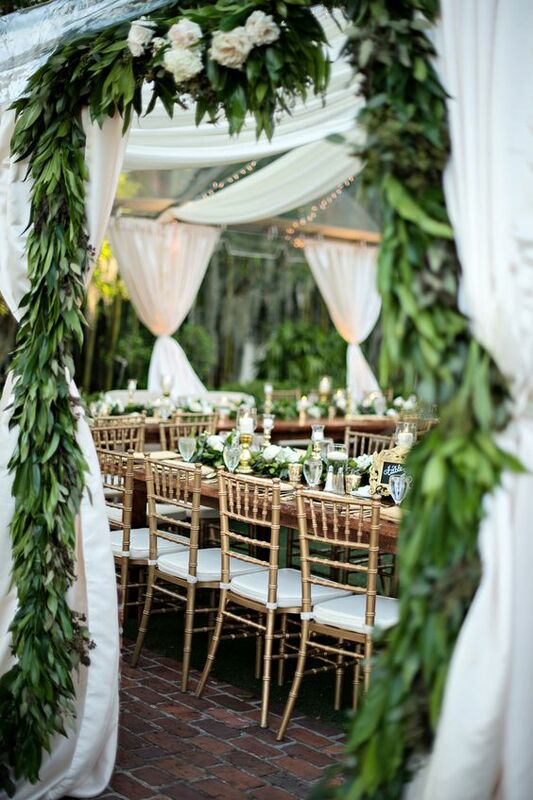 The venue décor, from the aisle to the tables is the most charming ever! 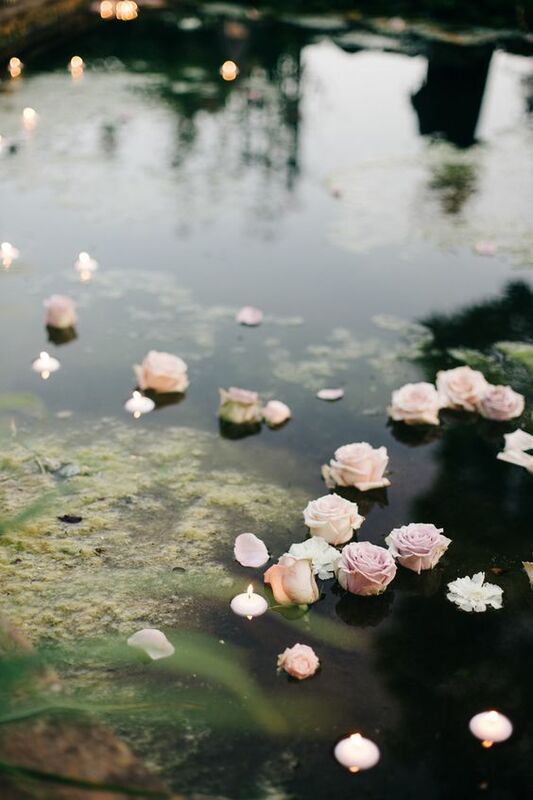 Lots of lush flowers, fresh greenery and candles here and there will create an adorable ambience, full of flower scents, birds singing and sunlight. 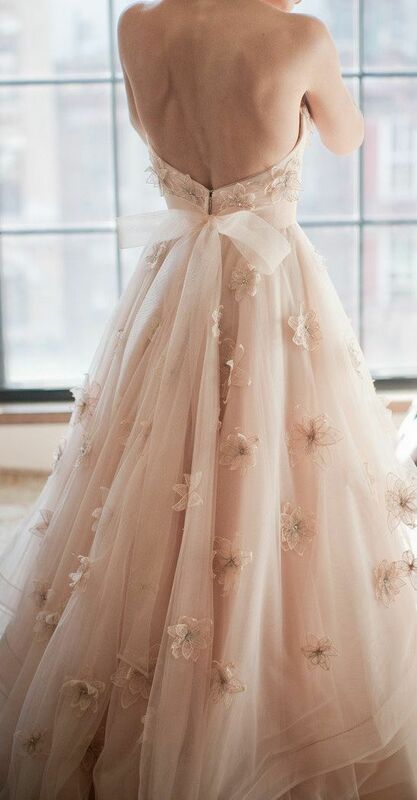 I’d advise to use pastel colors like blush, ivory, light blue and green but you may also go for bolder shades if you want. 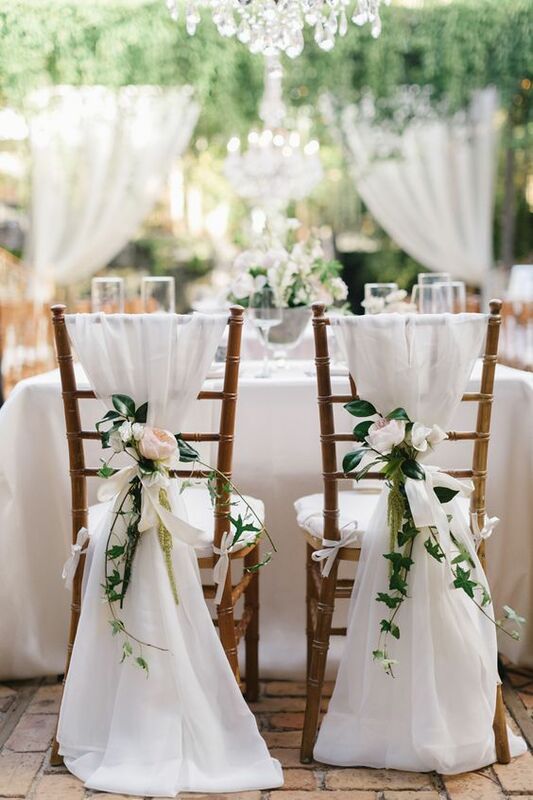 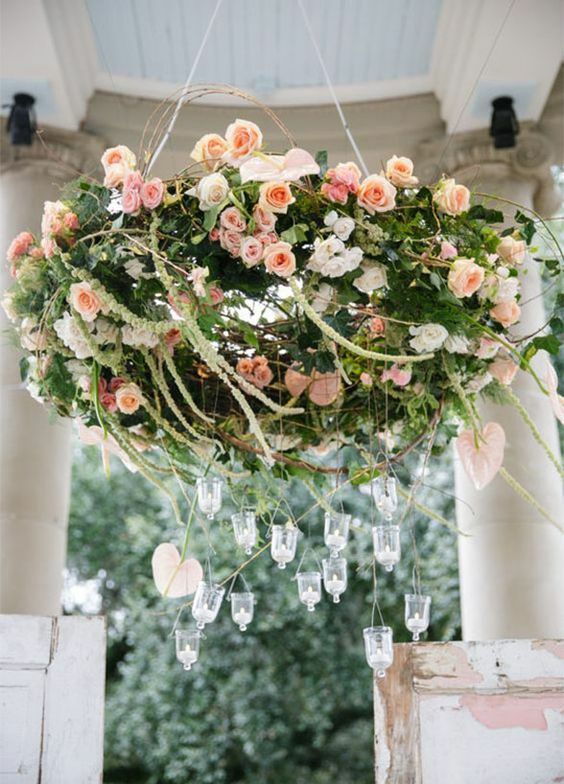 Lush flower chandeliers, garlands, table runners, chair décor, arches and aisle lining are right what you need for a spring garden wedding. 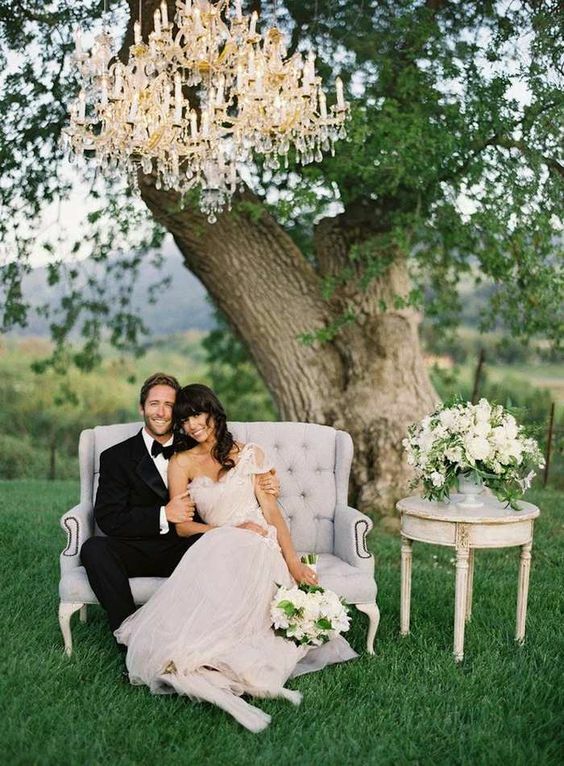 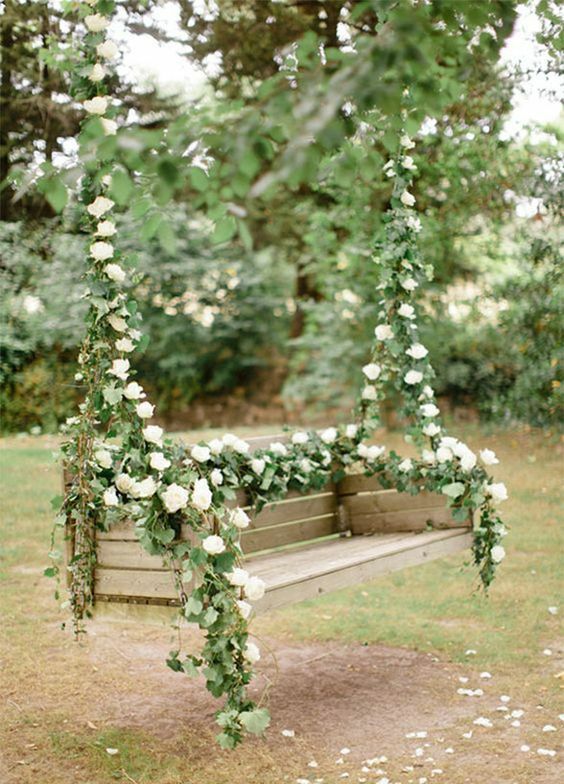 Go for a floral swing to take cool pictures, make a couple stage with flowers on the sofa and a refined crystal chandelier. 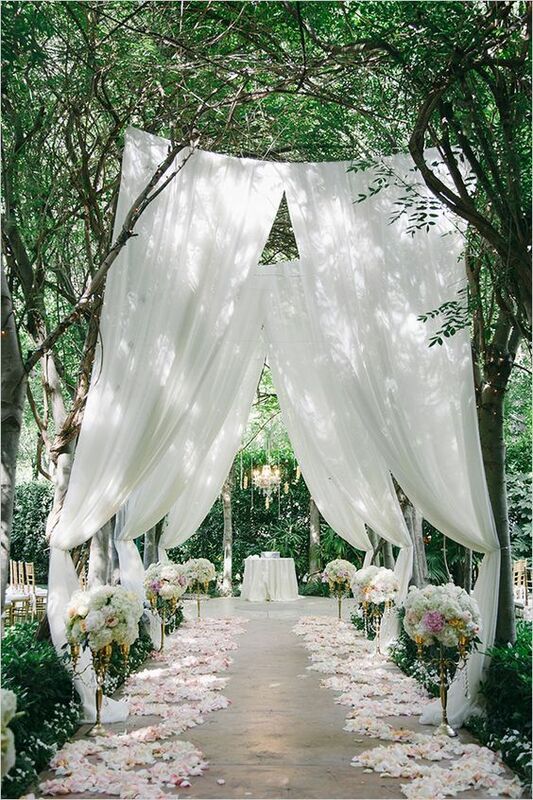 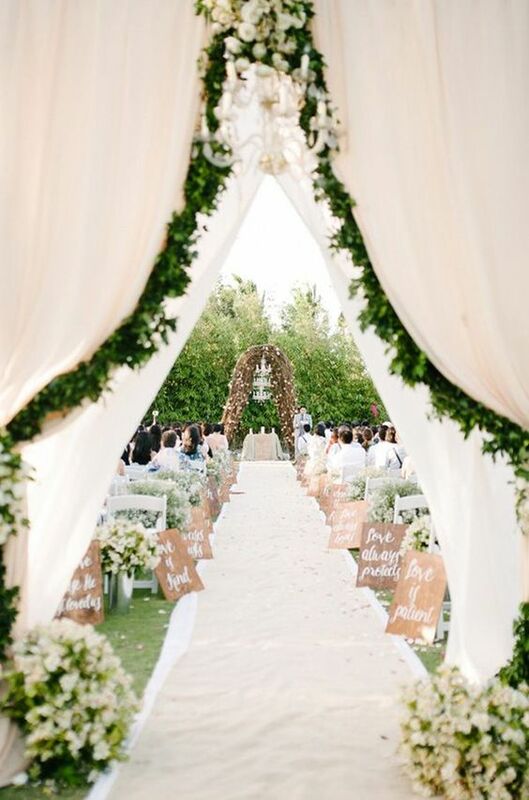 Create a fantastic lush flower arch or altar with candles and line your aisle with petals. 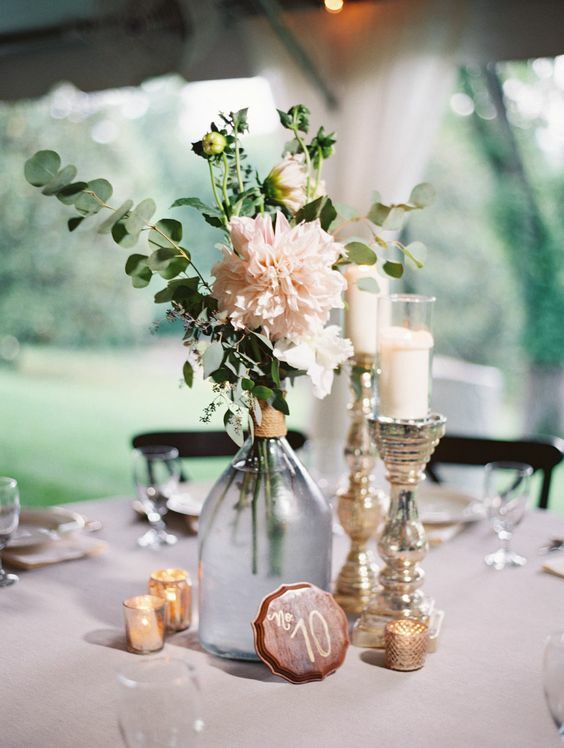 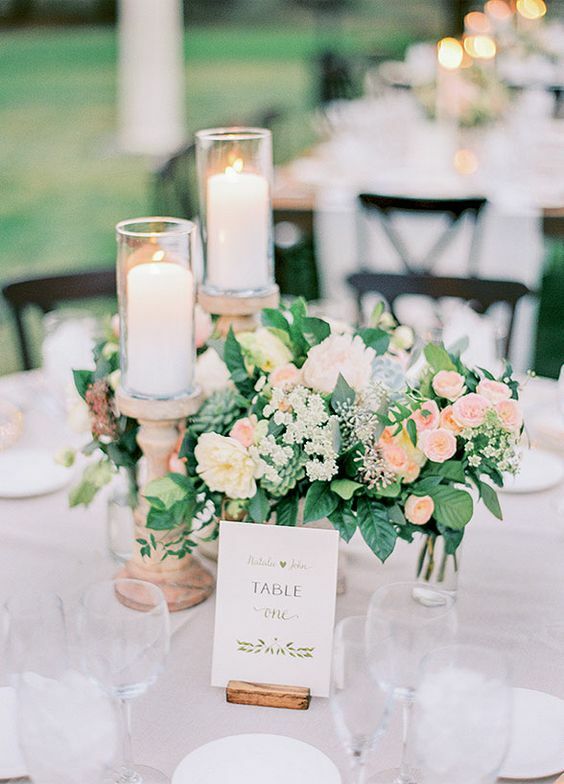 Rock beautiful flower centerpieces, candles and flowy fabric table runners. 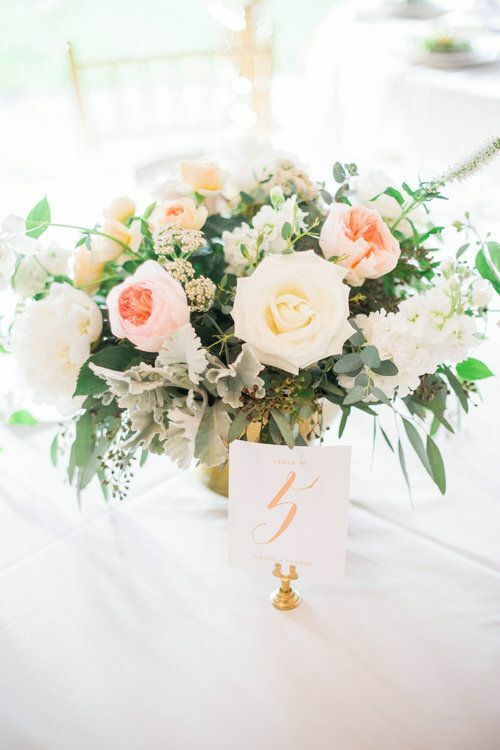 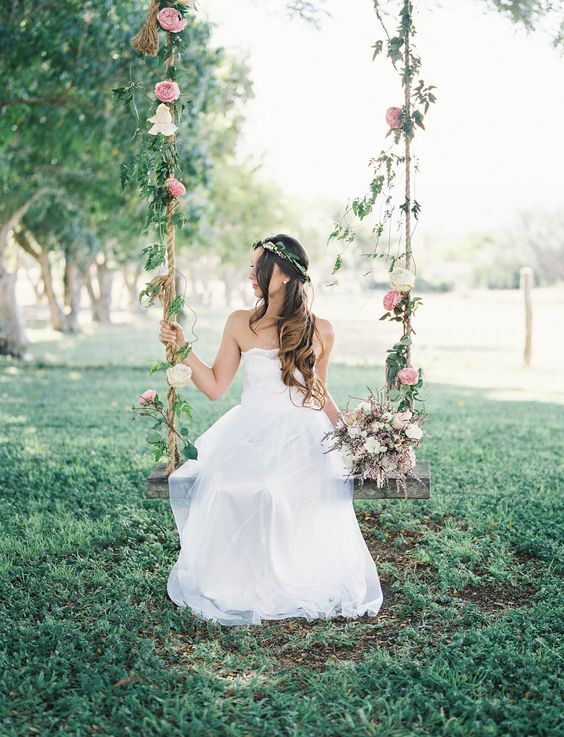 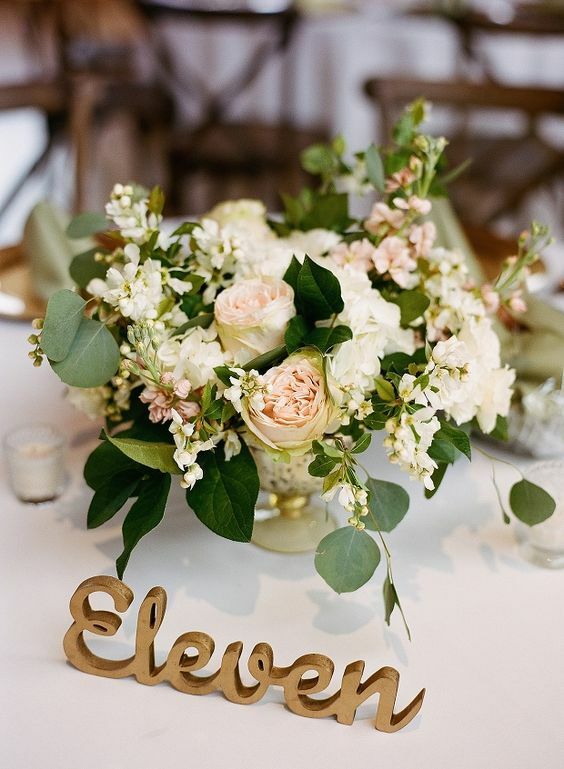 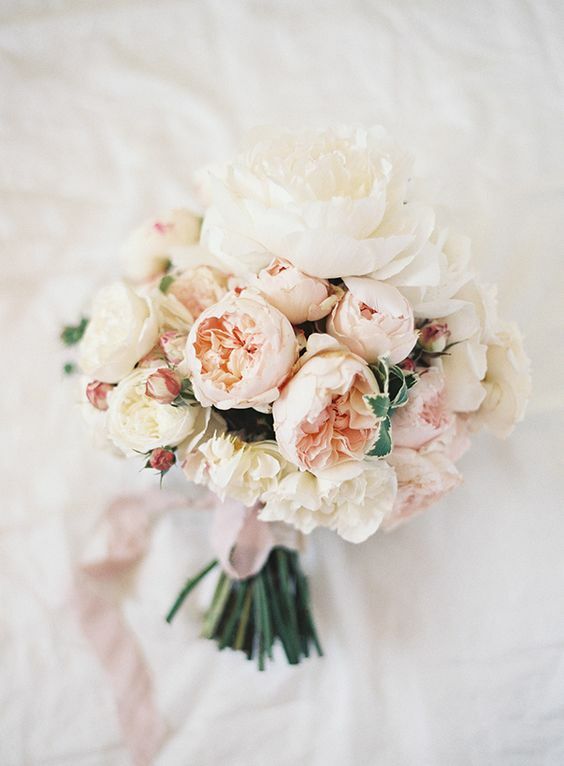 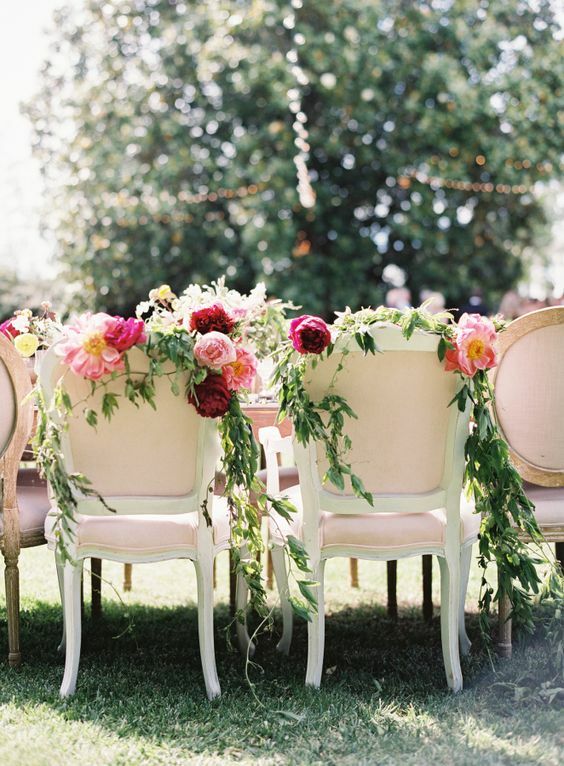 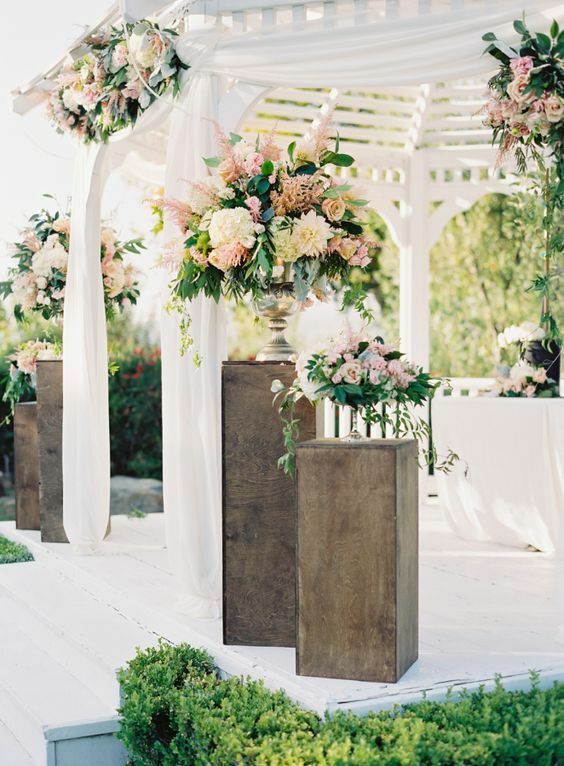 There’s nothing more natural than flower décor for a garden wedding, so rock as many flowers as you can. 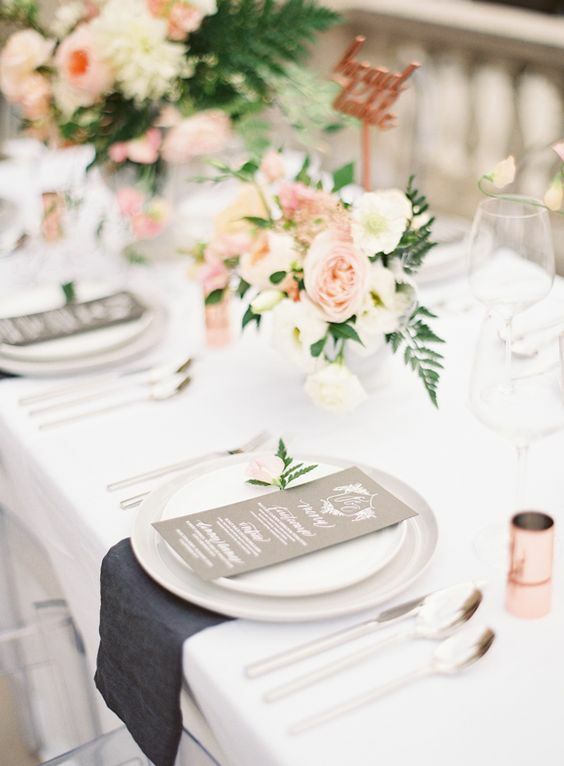 Create amazing textural centerpieces, put some flowers on each place setting, mix flowy fabric and fresh greenery table garlands. 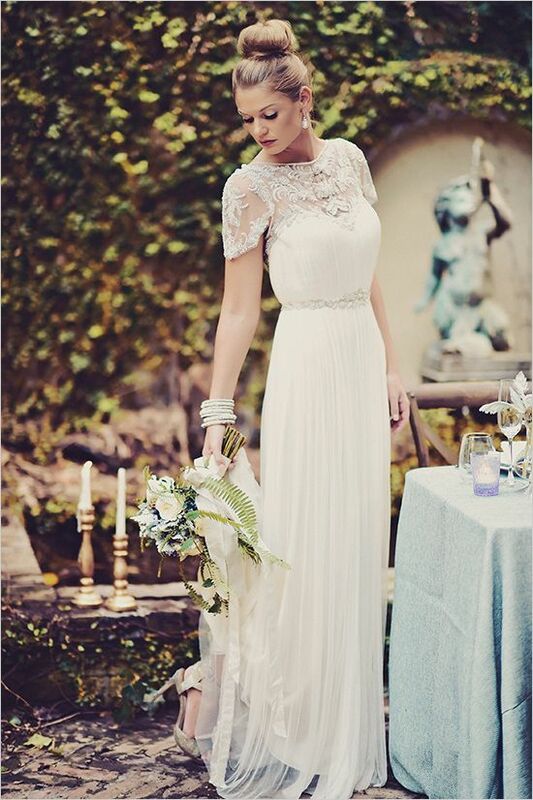 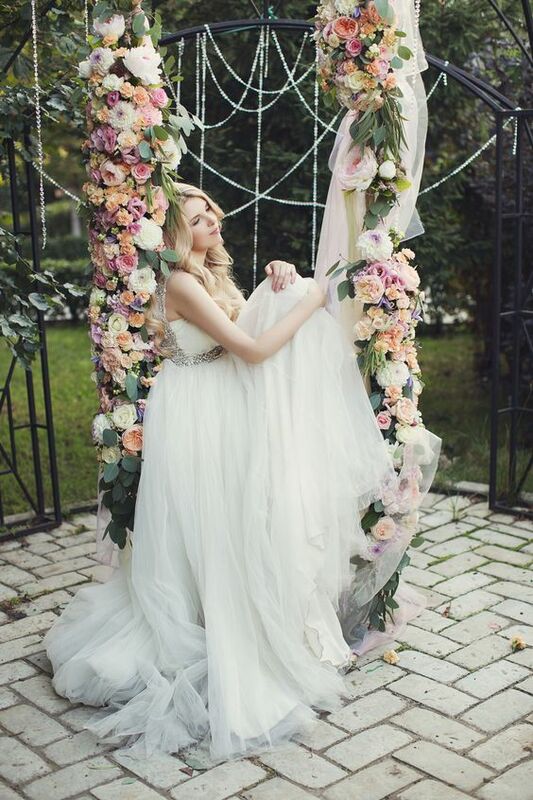 We strongly recommend flowy and ethereal wedding gowns, of white, ivory or any pastel color – blush, peach or light blue. 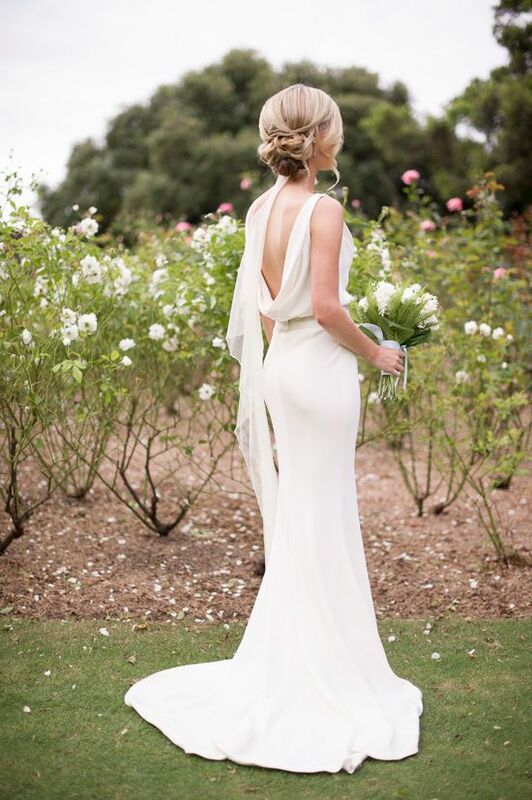 Off the shoulder and backless gowns will look very romantic and delicate. 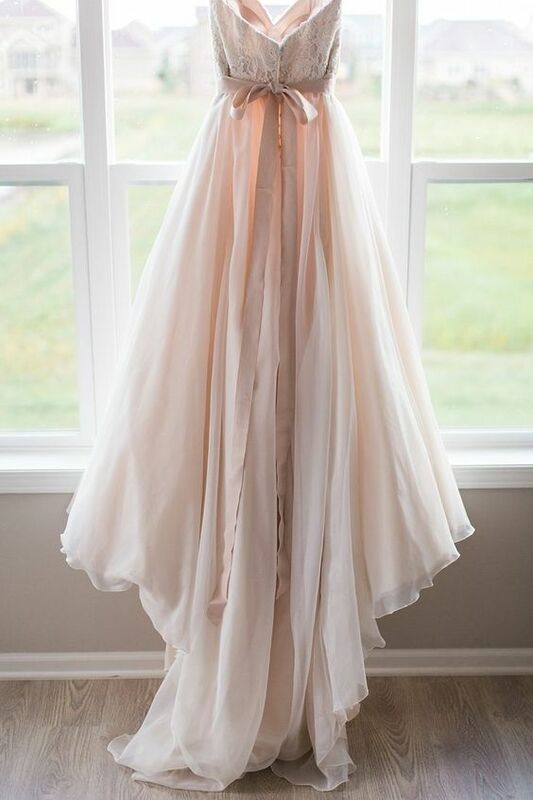 If you are wearing a white or ivory dress, offer your bridesmaids to wear pastels. 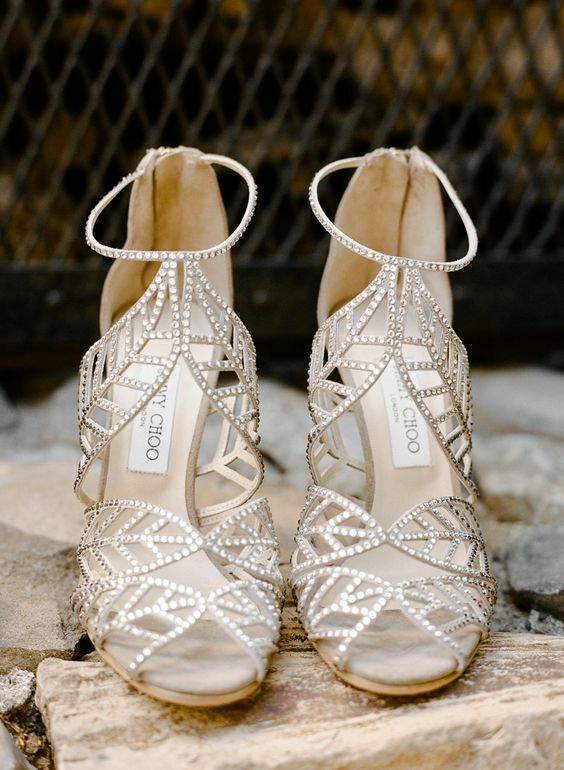 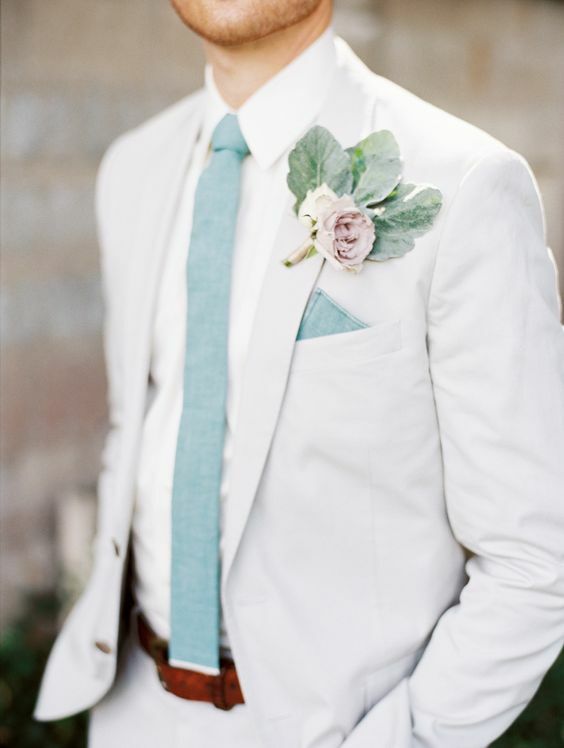 Your groom may also wear something light-colored: white, ivory, beige or light grey. 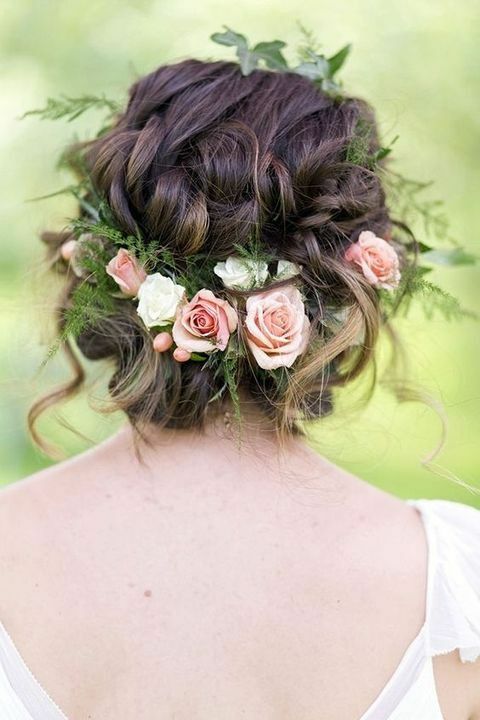 Put on flower crowns or tuck flowers right into your hairstyle. 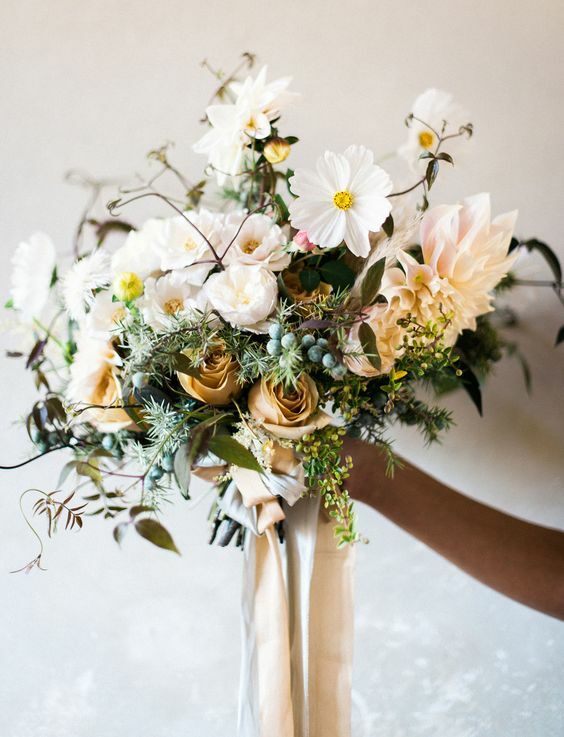 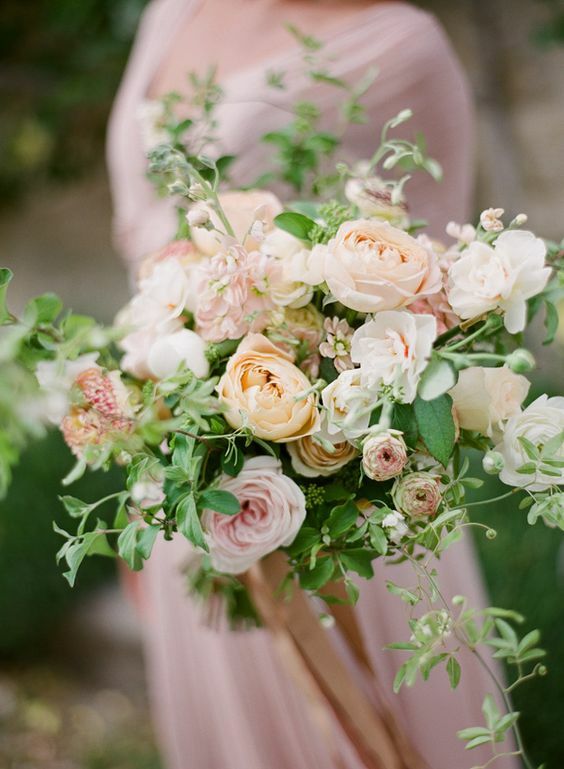 Rock lush textural bouquets that scream spring! 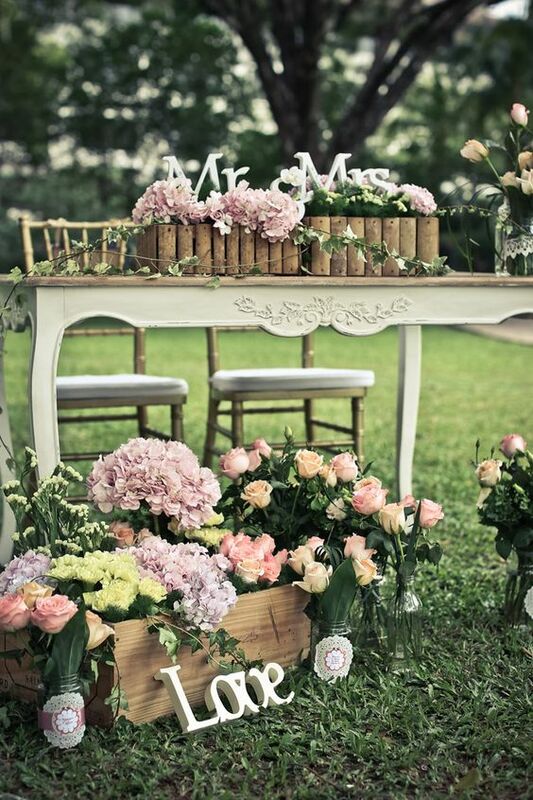 They should stick to your wedding theme and colors but you can take any blooms you like. 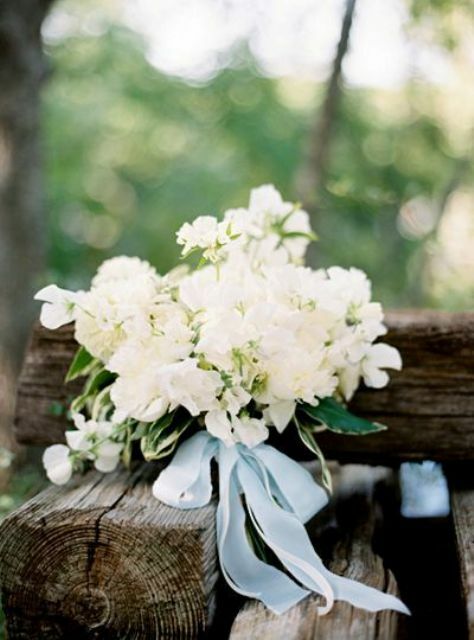 Add beautiful ribbon to the bouquets to make them look cuter. 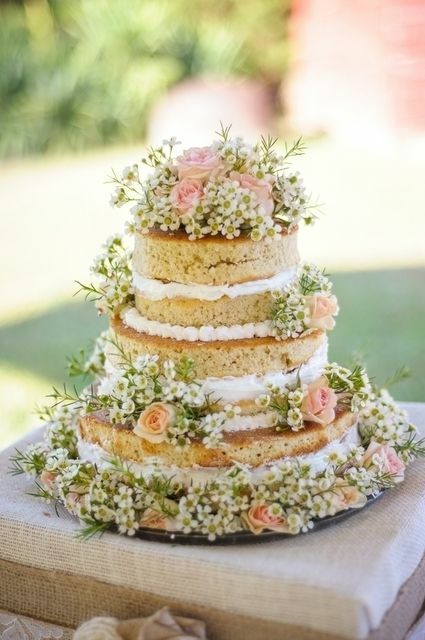 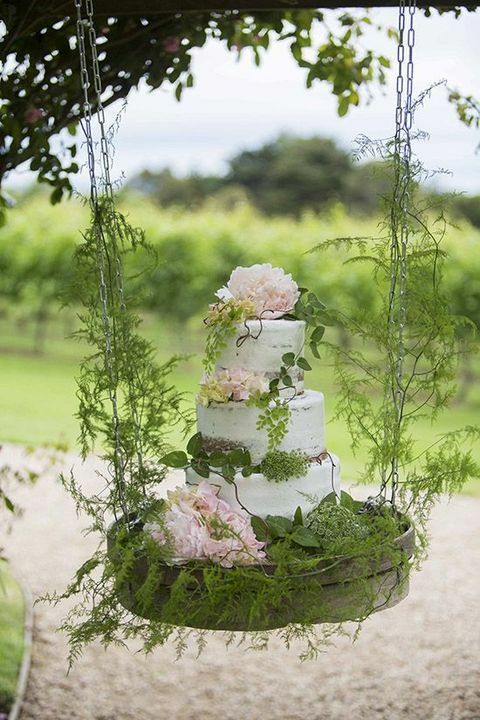 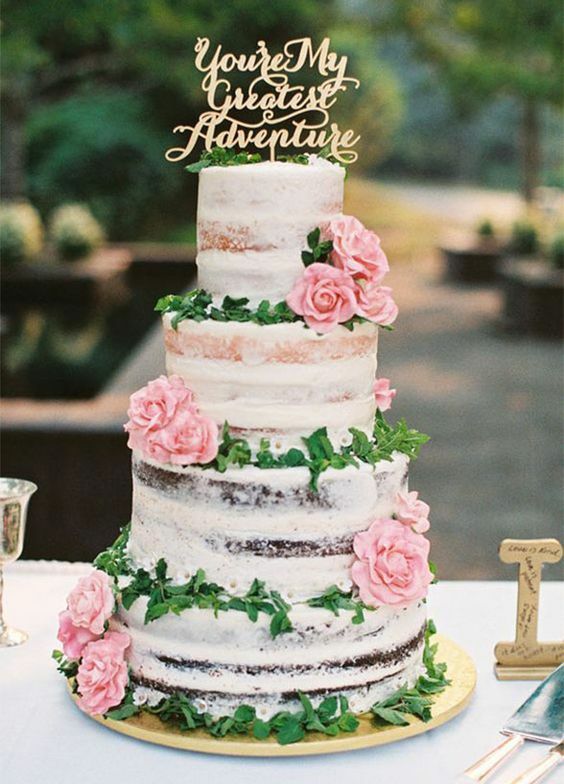 Semi naked and naked cakes are the hottest for garden weddings, tope them with fresh flowers and you’ll get a perfect spring look. 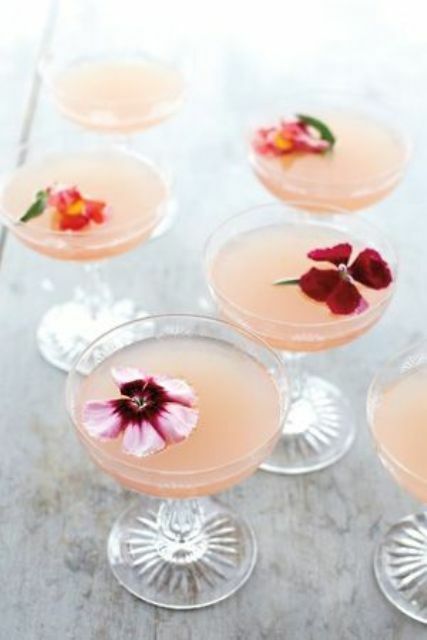 you can also serve signature cocktails or cookies with flowers or flower petals.